Bringing flowers into your business is a sure fire way of creating a beautiful, bright atmosphere to both work in and visit. People have been integrating our botanical friends into our everyday lives for centuries. A vase of wild flowers on the tables, a pot housing a tall, spindly plant in the corner and even small shrubbery has been implemented in some way, shape or form to create a more open and friendly environment. 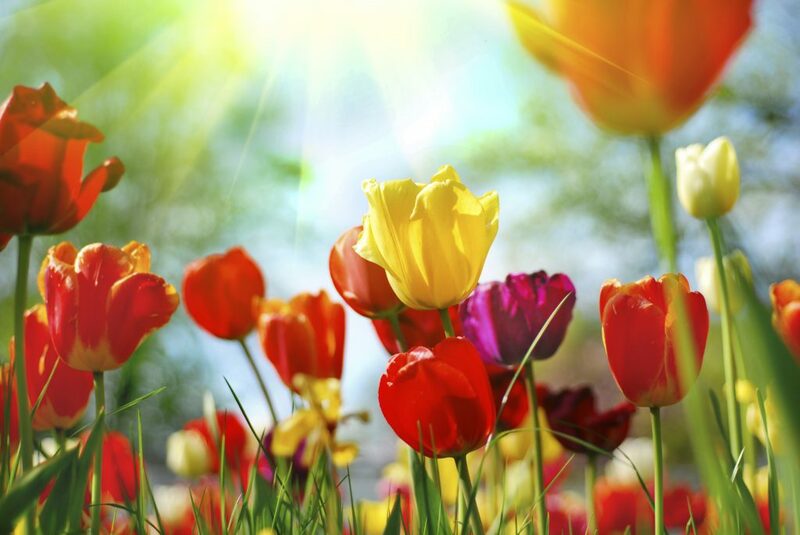 How do you ensure your living plants and flowers stay bud-iful? How can you ensure that, by the end of the week, you’ll still have stunning plants boasting bright, vibrant and enlivening colours? The key is to be gentle, kind and considerate… to the plants that is! When you’ve bought or been delivered a stunning bunch of flowers you need to make sure that they get an optimum food intake. 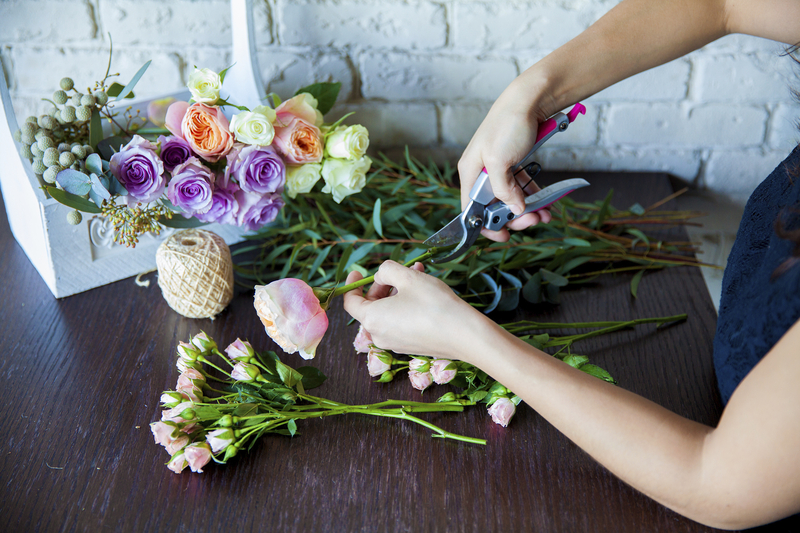 Place the stems of your flowers into a bowl of water and cut between 1 to 2 inches from the end of the stem at a 45⁰ angle. This exposes more cell surface area to water, thus allowing for a greater intake of food. Being delivered to you out of water has meant the cells at the base of the plant have started to dry out and won’t be efficient enough for drawing up food. Placing the stems in the water allows for osmosis to take place immediately during the cutting process, enlivening the stem and starting the entire infrastructure to begin drawing up water. During the cutting process, remove any leave which may become submerged in water. 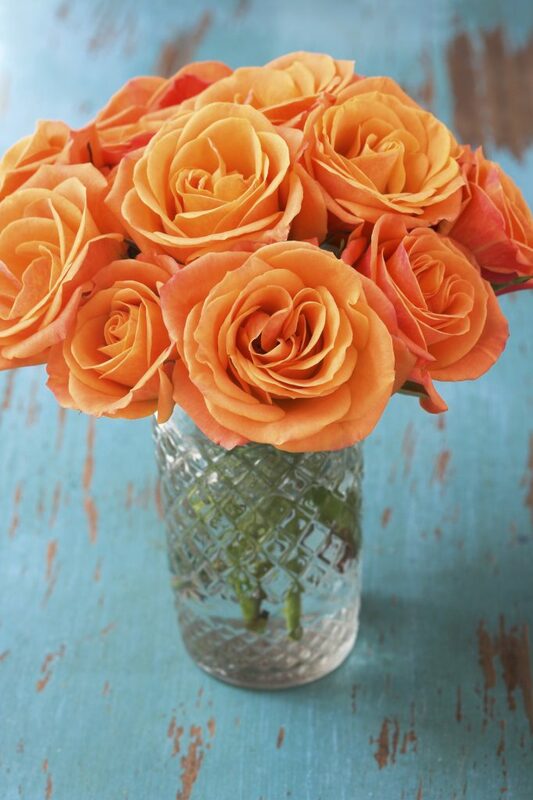 If you’re placing your flower arrangements into a glass vase this will make them look much neater. The leaves of a plant do not absorb water, their waxy cuticle forces water droplets to roll off of their surface. Leaves generate food day and night by absorbing sunlight, submerging them into water will remove this function and simply leave you with a decaying, messy pulp. 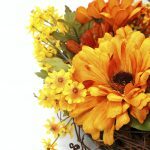 Removing dead and dying leaves from your flower arrangements allows any leaves they may be blocking access to vital sunlight. 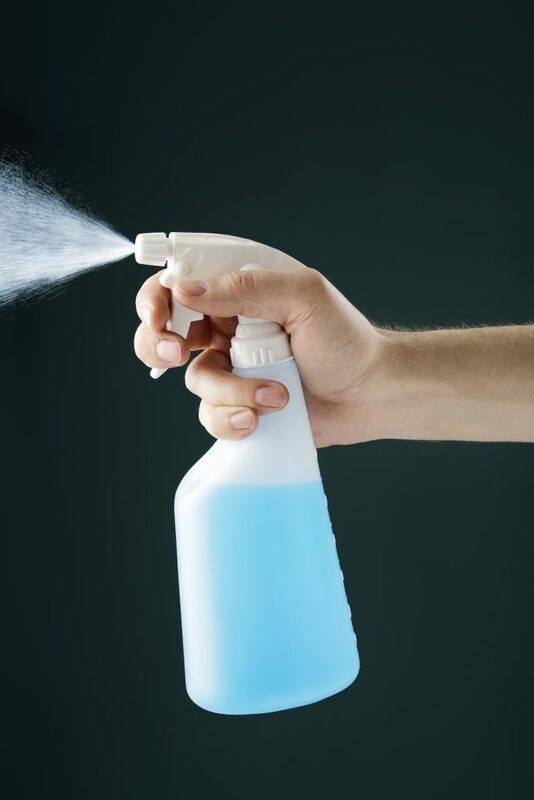 It also keeps your flowers and plants looking fresh faced and beautiful throughout the weeks! You’d be surprised at how many times you should ‘water’ your plants. Being an indoor feature your plants don’t have the same benefits as an outdoor plant, it’s up to you to ensure they are fed and well taken care of. Forgetting to water them for three or four days won’t do your plants any good, at the same time, turning the soil of potted plants into a mud swamp will only drown your plant. There’s no specific guide line, each plant is different but the common sense is sound. If you have a large plant, more water is needed than if you have a small plant. If you’re taking care of flowers in a vase, sugar water is a good way to get the vitamins your flowers are missing from soil into their cells. Alternatively, you can buy plant food to mix in with their water for a stronger, healthier plant. Finding the perfect place in your office, reception, meeting or public rooms is vital in allow your plants to flourish and prosper in their new environment. Direct access to sunlight will ensure than any nutrients and energy they aren’t getting through their plant food, they’ll get through the sun. Show off their natural beauty in the sun, you brought them into your work place to add a little colour and life after all! Our range of corporate flowers will allow you to enjoy the aesthetical beauty in an array of vibrant and healthy colour for weeks at a time! If you’d like to know more about our beautiful range of corporate flowers, contact us today on 0208 968 8190 and our friendly team will be happy to help!